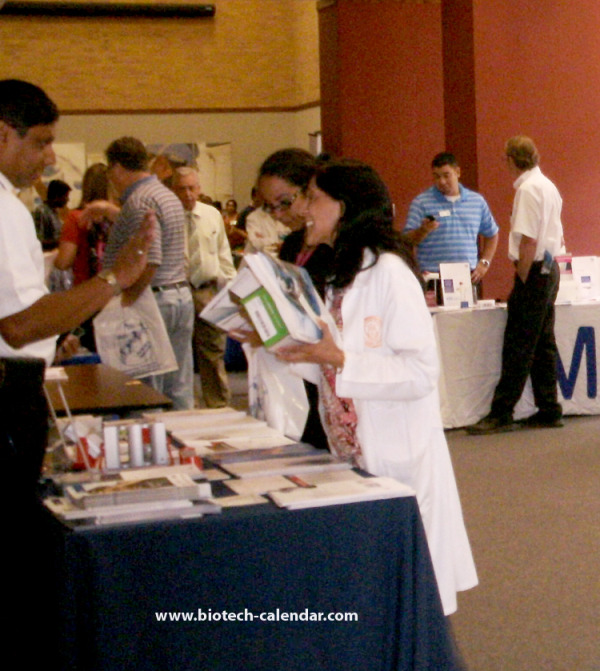 If you are a company selling laboratory products or supplies to researchers in the Midwest, and want to connect face-to-face with researchers on the University of Illinois, Urbana-Champaign campus, Biotechnology Calendar, Inc. is hosting a BioResearch Product Faire™ Event on May 1, 2013. On average, each exhibitor table had 77 visitors. Of these visitors, exhibitors reported an average of 29 quality leads. The exhibitors reported an average product value of $2945. The surveys also displayed that 93% of the exhibitors were very satisfied and very likely to return to the next show. When exhibiting at University of Illinois, Urbana-Champaign, you receive an engaged, receptive target audience in a professional environment. At this show, you are given the chance to make higher quality contacts with new customers, build trust with future customers, and build relationships with existing customers. You will also receive great corporate visibility in your target market where your company will benefit before, during and after the event with extensive publicity including multiple rounds of event laboratory announcements, e-mail invitations, announcements hand delivered to laboratories, direct mail campaigns, web site publicity, event program publicity, at-show signage, and sponsorship opportunities. A flexible product and promotional package. Qualified audience and excellent leads. The ability to fully educate your customers by performing informative and educational seminars. Opportunities to build top-of-mind awareness with an integrated marketing program to meet your goals and differentiate you from your competition. A sales success program where professional event managers plan and ensure a positive exhibiting experience. For recent Science Market Update news on University of Illinois, Urbana-Champaign, click here.